The FDA will allow consumer DNA testing company 23andMe to give customers reports on their risk of hereditary colorectal cancer. The California-based company, which allows customers to test their own DNA via mail, will now be able to tell its users whether they have the two most common genetic variants influencing MUTYH-associated polyposis, a hereditary colorectal cancer syndrome. If left unchecked, carrying both of these variants or having two copies of one increases the risk of developing colorectal cancer to between 43-100%. The risk for those who have just one variant is uncertain; however, some studies suggest that the colorectal cancer risk may be slightly increased, particularly for those with a family history of colorectal cancer. 23andMe received a similar approval last March for reports on the BRCA1/BRCA2 genes, which are associated with increased risk of breast cancer. These two reports are the only direct-to-consumer genetic health risk reports for inherited cancers that have been authorised or cleared by the FDA for use without prescription. Like with other 23andMe Genetic Health Risk reports, this one will also include an education module to ensure customers are informed on what they can learn from this report and how to interpret the results, as well as its limitations. In a statement 23andMe pointed out that hereditary colorectal cancers only account for about 5% of all colorectal cancer cases. Additionally, the report does not look at variants associated with Lynch syndrome, which is the most common form of inherited colorectal cancer. The two variants included account for around 80-90% of MUTYH variants in people of Northern European descent. However, more than 100 variants in the MUTYH gene are known to be linked to MUTYH-associated polyposis. 23andMe said that the approval followed an “extensive” FDA review process in which the company submitted studies and evidence demonstrating that the report is scientifically valid and understandable for consumers, and that the results are analytically reliable. Nevertheless, direct-to-consumer cancer tests remain controversial, as they are done without the guidance of a doctor. 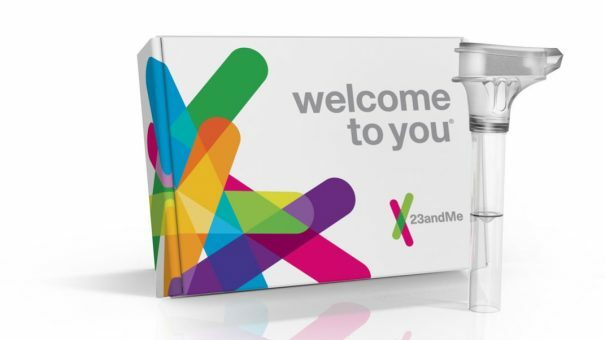 This hasn’t stopped 23andMe seeing enormous success and attracting interest from big players in the industry, though. Last year the company signed a $300 million R&D deal with GSK, giving the British pharma firm access to four million customers’ DNA information.